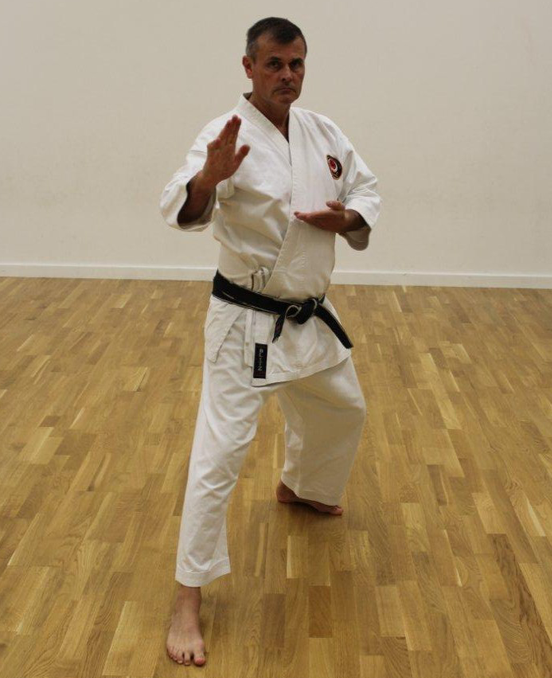 In May 2013, Hanshi Shearer awarded Sensei Paul Shephard the rank of Kyoshi which means master teacher or teacher of teachers to mark 35 years of being his student. Training in Seishin-Ryu is very challenging, not just physically but mentally, and only truly committed karateka will succeed. My interest in karate started when I was at school, but unfortunately there were no children's clubs at that time so I had to confine myself to watching Bruce Lee movies. After paying my £5 life membership!!!!! to the then secretary John Kerridge, who was 1st kyu at the time, I took my first ever karate lesson with sensei Colin Coull who was then a 2nd dan. a selection of fierce looking dan grades including : sensei Perry, sensei Shearer, Peter Videan, Colin Coull, Sandy Marwick, and Jim Platt. Sensei Perry made a point of talking to me after that first session to tell me I had done well and to offer me words of encouragement. After that first session I was hooked and trained regularly at the Enfield dojo and also at sensei Shearers Edmonton dojo where training sessions were held in the canteen of his workplace. Many a great session was held there avoiding discarded chips and peas. I soon got a place in the Enfield team and we won the 1981 JSK team kumite event with Colin Coull as captain. I was also in the kata team and we managed to win this event four times. I was also overall senior champion twice, being the only person to win the black belt kumite and kata events. In 1983 I passed shodan under sensei Kanazawa when we were still part of SKI. Soon afterwards sensei Perry decided to form his own independent organization, and of course we at Enfield went with him. All my other gradings were under sensei Perry, and I took nidan in 1988, sandan in 1993,yondan in 1997, and godan in 2003. I trained with many other instructors over these years including: Sensei's Kanazawa, Asano, Kato, Sugimoto, Kasuya, Ohta, Ticky Donovan, Terry O'Neill. Aidan Trimble, Vince Morris and Patrick McCarthy. In 2008 I felt a need to move on and with great regret I decided to leave sensei Perry and Jin Sei Kai. Sensei Perry and I parted on good terms and I will always owe a huge debt of gratitude to him. In 2009 my mentor and teacher for over 30 years sensei Barry Shearer awarded me my 6th dan. Seishin-Ryu was formed in 2010. 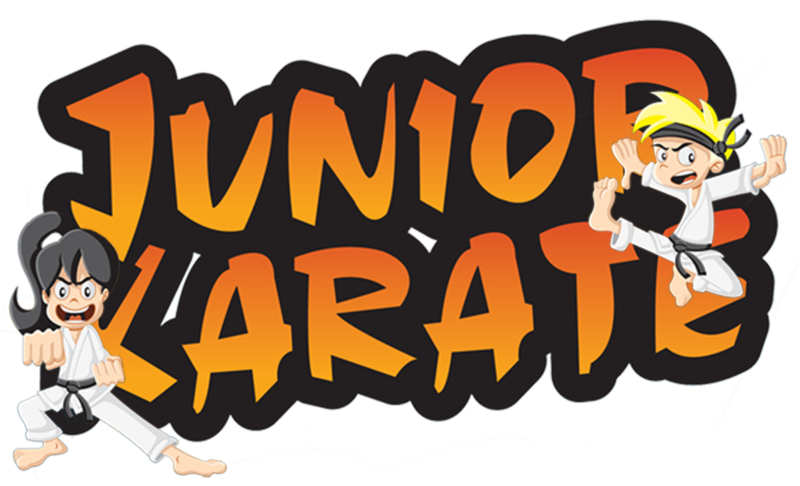 The aim was not to form a huge organisation but to mutually support each in our shared enthusiasm for traditional karate. 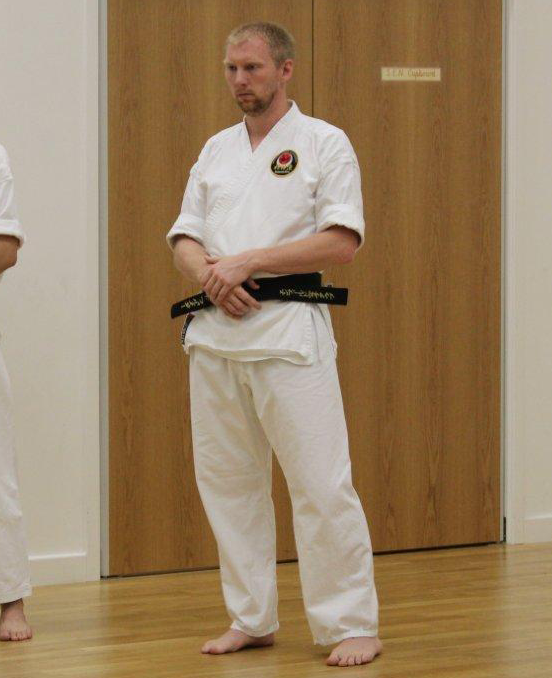 In 2012 sensei Shearer agreed to become the honorary President of the Seishin-Ryu association! 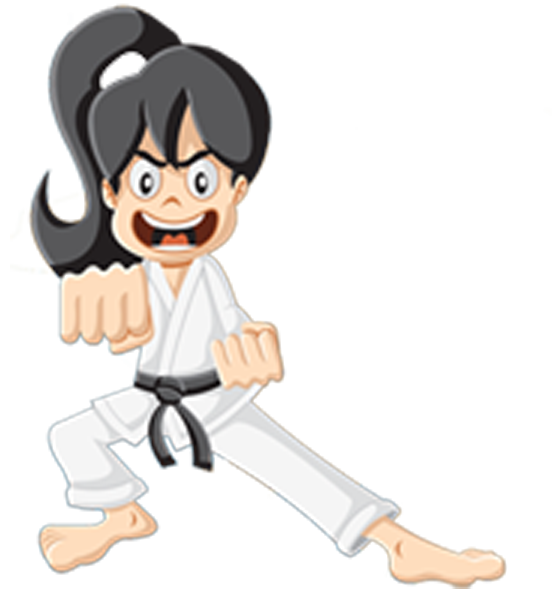 At Enfield we have always attracted karate-ka from other clubs and styles who wish to further their knowledge of karate-do. Now with the help of sensei's Richard Forster, Andy Lewry, Seth Hart and my son Jack the Club has great teachers who can carry on the work started by sensei Shearer and myself. My own training now has moved on from wishing to be an invicible fighter and now keeps me healthy, meeting great people and generally keeping my life in balance. As always I carry on learning from my teacher of 36 years hanshi Barry Shearer! Other interests include, walking, tennis, travel, reading and gardening. In May 2013, Hanshi Shearer awarded me the rank of Kyoshi which means master teacher or teacher of teachers to mark 35 years of being his student. In February 2014 sensei Paul Perry sadly passed away. "If I can see farther it is because I stood on the shoulders of giants" and he was a giant in every way! In his last communication with me he asked me to "carry on with his teachings and remember that karate is not just about fighting, but about being honourable and giving the students what they need." This I intend to do to the best of my ability. In 2014 I took Sandan under Hanshi Barry Shearer and Kyoshi Paul Shephard. "Why Do You Want To Learn Karate?" This was the first question I was asked when I started Karate in 1998. My answer was "To Learn How to Fight". Today, Karate means a lot me to me than just knowing how to fight; it's about Respect, both for yourself and those around you. It's about Control, controlling the environment you are in; it's also about Awareness, who you are with, what they are doing, how they are acting. Karate has not taught me to fight as I once wanted; it's taught me something different, taught me to avoid confrontations. Of course, knowing Karate does give it the edge. I started learning martial arts from a young age, after seeing a program about Judo on what was once known as LWT, I knew I had found an interest I enjoyed. A few years later I took up Ju Jitsu, but I found myself at home with Karate. My first lesson was with Sensei Paul Shephard and I shortly started training with Sensei Shearer. Together with the knowledge and skills of both Sensei's my karate developed and I took my Shodan under Sensei Paul Perry in July 2008. A daunting experience, the only student taking Shodan, I was out in front of all the instructors and other students. In 2010 I took Nidan under Sensei's Barry Shearer, Paul Shephard, Phil Shire and Gary Battrick. In 2014 I took Sandan under Sensei's Barry Shearer and Paul Shephard. Seishin-Ryu Karate Club has grown from strength to strength over the years and I am proud to be a part of it. What I have learnt I am now passing on to the students I teach. I have been teaching the junior students since 2010. With the assistance of Sensei Jack Shephard 3rd Dan, it is good to see all students improve on their karate and self confidence and the respect they each show for other students in the dojo. It is even more rewarding when each student does well in their grading and proud to wear their new belts. Through their hard and dedicated training, they achieve a new grade on the road to becoming a blackbelt, and they wear their belts with pride. Outside Karate, I enjoy other activities like Clay Shooting, Football, Squash (before the knees gave in) as well as relaxing country walks and photography. My attitude to training is that it should be hard but not mindless – hence my love of investigating what is behind the movement. Why did I start? – Even then sport had taken a toll on my body and I needed to learn to stretch properly. Also, my job is desk based – I am a scientist and Engineer – so then need to switch off is also paramount to my wellbeing and state of mind. In January 1994, I enrolled with Jin Sei Kai (JSK) in Watford under the guidance of Mick Gorman. I was then and still am impressed at the level of ability, knowledge and competence of all the JSK instructors – Master Paul Perry expert knowledge, especially of biomechanics, is the basis of my karate. 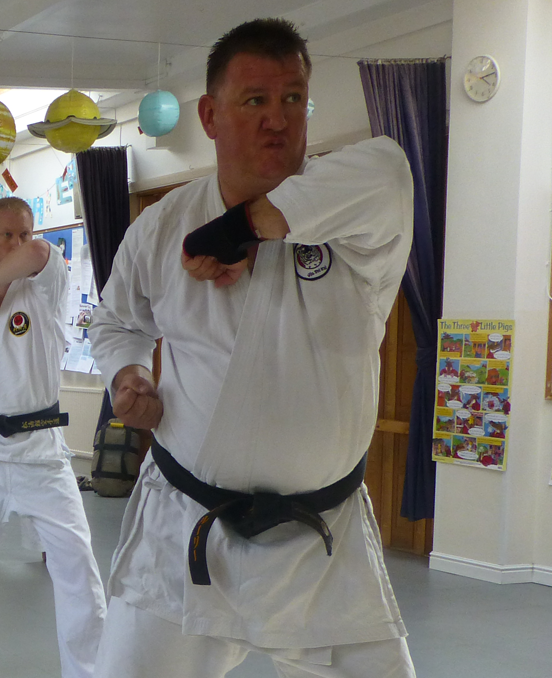 Others include Sensei’s Martin (who taught me how to fight) and especially Sensei Shearer who always had time to help me. Like Paul I miss the championships we used to have and especially fighting him. It was fun but I think we are now a bit too old for that, although it would not stop us trying. Lost to him in one of those individual finals but got my revenge in the team event, in which I was lucky to be in the winning team several times. Paul and I have been friends a long time since those days of setting up a dojo in Potters Bar, when Richard was one of first students! So when we discussed the possibility of me coming over to help teach, I was of course delighted to have been invited. My attitude to training is that it should be hard but not mindless – hence my love of investigating what is behind the movement and training with instructors like Patrick McCarthy, Ricky Clark, Vince Morris and Ian Abernathy has been illuminating. However, like any discipline the foundations are most important so basics, basics and more basics. You achieve nothing without hard work but that has to be effective and in order to achieve that I believe you have to understand the purpose of the movement. Visualisation is a powerful tool but you have to have the knowledge to underpin it, so you should keep striving to learn more. Married with two children and two grandsons my other interests include cricket, rugby, tennis and table tennis (watching only now). Sensei Jack Shephard helps teach the Junior classes and acts as a mentor to the aspiring new students. 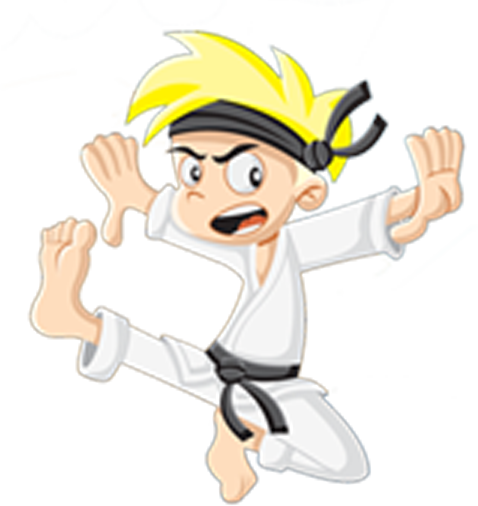 Jack started karate training at age 6 years old and took shodan in 2008 aged just 11. Many young people give up karate upon obtaining a black belt feeling that they have achieved everything, but Jack knew that this was just the beginning and gained his Nidan in 2012 in front of all the senior Seshin-Ryu examiners! December 2014 Jack took Sandan at the age of 17 under Sensei's Barry Shearer, Paul Shephard and Andy Lewry. He now helps teach in the Junior classes and acts as a mentor to the aspiring new students. 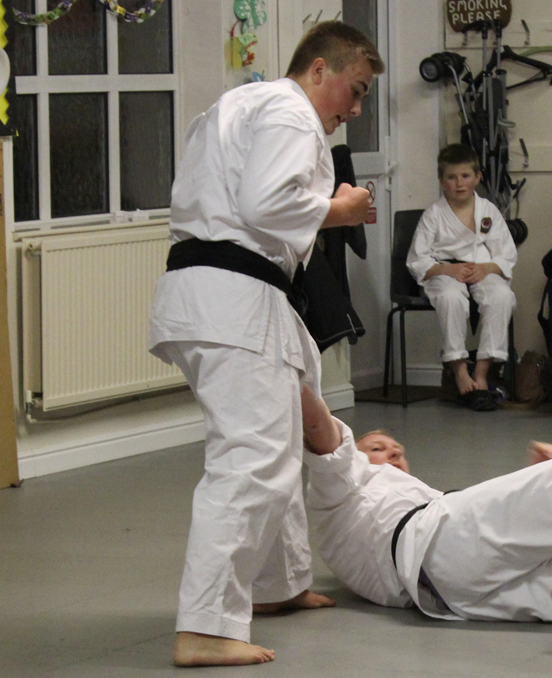 Jack also cross trains in Judo and has found that it helps in his study of karate kata. Jacks other interests are cricket, football and tennis and has reached a good standard in all these sports.